Clare joined StreetSquash in 2015. She graduated from the University of Notre Dame in 2012 with a BA in Psychology and a minor in Education, Schooling, and Society. She received her MA in Health Education in October 2013 from Teachers College, Columbia University, and is currently enrolled in the doctoral program. 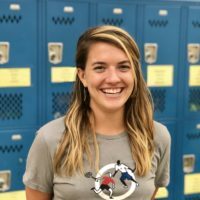 She worked as a health coordinator and teacher at a public charter high school in Washington, DC before joining StreetSquash.